As we near October, expectations and leaks are running rampant about the next Google Nexus phone. It’s repeatedly been noted that Motorola got the nod to build this year’s showcase Nexus and the handset is codenamed Shamu. A 9to5 Google report suggests this phone to be a whale of a handset thanks to its 5.92-inch display. 9to5 Google, which created the mock up render above, says it has all of the detailed specifications for the phone, which could be dubbed the Nexus X and not the Nexus 6. According to the site, it confirms much of what we’d heard prior: 2560 x 1440 resolution, 13 megapixel camera, [company]Qualcomm[/company] Snapdragon 805 processor, and 3 GB of memory. I’m still unsure why Google would work with a hardware partner on a phone with 32-bit processor when the software is the first 64-bit version of Android. The only reason I can think of is that Qualcomm’s 64-bit chips — the Snapdragon 808 and 810 — won’t be available in mass quantities in time for when [company]Google[/company] wants to debut Android L and a new Nexus smartphone. 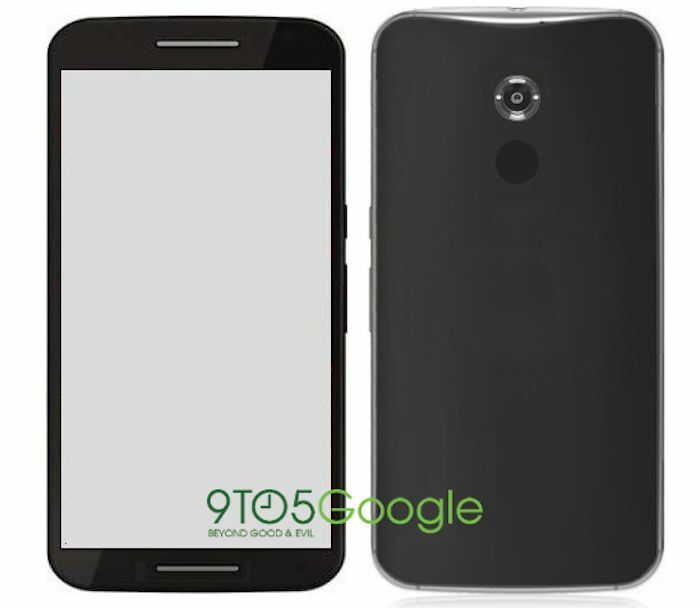 The handset looks to be what 9to5 Google calls “a scaled up Moto X” with the same rounded back design. That’s a style I like, having been a big fan of last year’s original Moto X, but it may lose something in translation. Part of the Moto X appeal last year was the compact size for a phone with 4.7-inch display. Motorola did a great job at keeping the overall phone size down. That’s hard to do with a display that’s nearly 6-inches diagonally. If the next Nexus really does have a 5.92-inch display, I suspect most buyers will opt for this year’s Moto X with 5.2-inch screen, particularly if [company]Motorola[/company] continues to push out Android updates nearly as fast as Google. Highly unlikely but that’s just an educated guess on my part. Verizon and Google don’t quite see eye to eye with the Nexus program. I love Nexus devices, but this one is simply too large for me, although I can’t say I’m surprised. Having seen how big this phone will be, I’m glad I ordered the revised Moto X.
I like this phone. It’s going to be a tough choice between this and the Note 4. Not that I care but no front facing camera? It does have a front image sensor – I neglected to mention: 2 megapixel is the reported sensor.